Mussels are a type of shellfish related to scallops, oysters and marine clams, and because the method for farming them is environmentally sound, Monterey Bay Aquarium awards them a "best choice" in its Seafood Watch. Mussels may be cooked in or out of their shells, or purchased smoked, canned or frozen. The types of mussels include blue, green and Muurugai. To cut down on the grittiness of mussels, be sure to thoroughly clean them prior to cooking. Though an acquired taste for some due to their chewiness and strong flavor, this variety of seafood is a particularly nutrient-dense food choice. Mussels are a rich source of many essential vitamins and minerals, such as the B vitamins, vitamin C, folate, iron, phosphorus, manganese, selenium and zinc. They outshine most other foods when it comes to their vitamin B-12, selenium and manganese content. 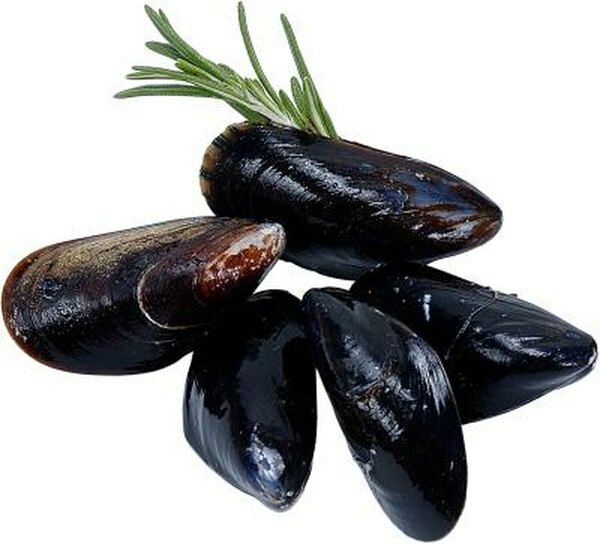 A 3 ounce portion of moist-heat cooked blue mussels provides 20.4 micrograms of vitamin B-12, meeting 340 percent of the recommended daily value for this nutrient, according to NutrientFacts.com. Vitamin B-12 is essential for a healthy nervous system, the formation of red blood cells and proper growth and development. The same amount meets 108 percent of the DV for selenium and 288 percent for manganese. Selenium is important for immune system function and supports the thyroid gland, while manganese is involved in bone health and energy metabolism. Ounce for ounce, fresh mussel meat, like many varieties of seafood, provides the same amount of high-quality protein as red meat but much less fat, particularly "bad" or saturated fat, and about 50 to 75 percent of the calories of most types of red meat. According to Canadian Cove, 1 pound of mussels in their shells, or a serving of roughly 15, provides the same amount of protein as a 6 ounce steak but only a trace of the saturated fat. Consuming foods rich in high-quality protein, such as mussels, as part of a heart-healthy, high-fiber diet, may offer health benefits such as aiding weight management. Mussels are low in total and saturated fat but are one of the richest shellfish sources of a type of heart-healthy unsaturated fatty acid known collectively as the omega-3 fatty acids. A 3 ounce serving of blue mussels, cooked in moist heat, provides over 700 milligrams of omega-3 fatty acids. The American Heart Association reports that omega-3 fatty acids, particularly those from fish and shellfish, offer cardioprotective benefits. They decrease the risk of developing abnormal heartbeats as well as triglyceride levels or levels of fat in the bloodstream. Both of these benefits contribute to a reduced risk of heart attack or sudden death from heart disease.